Since early in 2012, when I was able to purchase my first Raspberry PI board, I have had a keen interest in single-board computers. Admittedly, the first Raspberry PI (RPI) was very limited by a slow processor, limited RAM and many incompatibilities with peripherals, it fascinated me to be able to see it running. The overall concept is to have all electronics on the playing-card-sized board and just need the addition of the peripherals (monitor, keyboard mouse power supply and Internet (LAN or WiFi) to run a usable version of Linux. The RPI was created with the focus to provide a cheap, flexible learning platform for education and experimentation. This goal was meet and significantly surpassed and by the time that the Model B design came out it was vastly improved upon. The Model A allowed the flexibility to use a television set at the display either with RCA inputs or HDMI. But the Model A ran very close to being current starved and if the wrong keyboard or mouse was connected to the board, anomalous responses were noted. USB expansion wanted a powered hub, while experimenters were testing the usability of dozens of mice, keyboards, power supplies and WiFi dongles. By the time that the the current RPI Version 3 boards were released, the majority of the current limitations and had been resolved. The advent of power supplies with microUSB connectors and current capacities of 1, 2, or 3 amps meant that most peripherals would work without the need for a powered hub. The addition of WiFi capability to the board eliminated any issue with the variation in WiFi dongles. 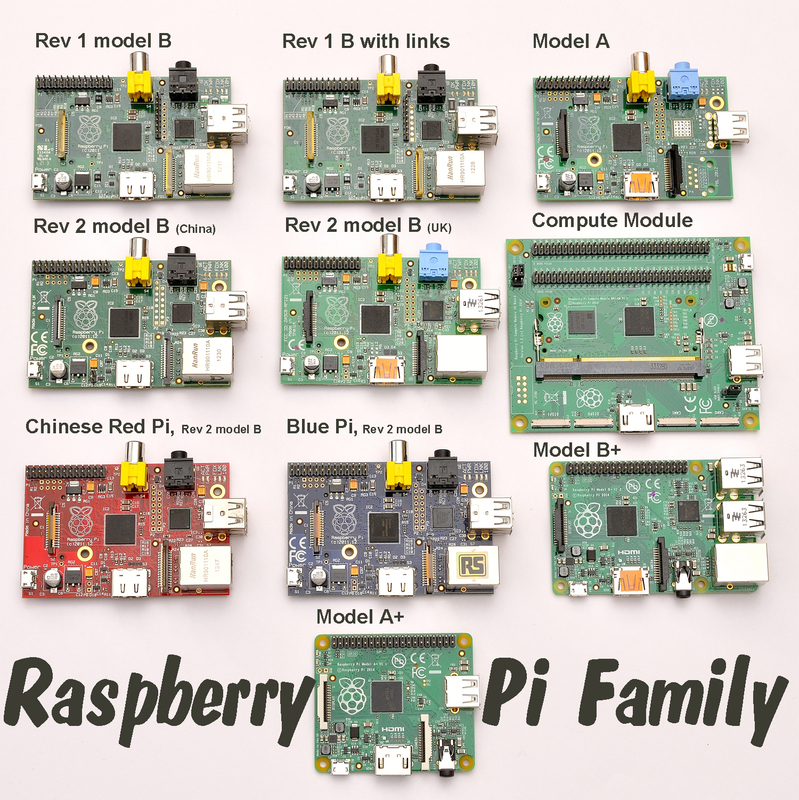 I will mainly speak of my own experiences from the release of the RPI Model A forward, at the unbiased exclusion of significant families of SBCs from a plethora of other manufacturers. (Beagle, Cubie, etc.) since I have never used their boards. (I have used "Arduino" boards to a significant extent, but do not classify them as true SBCs, as they require an SDK which runs on a separate computer, which could actually be an SBC). My first excursion from RPI boards was the purchase of a Banana PI board (BPI) from China via Ali Express. The first BPI board which I purchased had more GPIO connectors, an eSATA connector (for adding an external hard drive), 4X the RAM and a faster 2-core processor. This, to me was the first truly usable SBC, as it was fast enough to actually run with a GUI. My next model of BPI included 4 cores and a built-in WiFi which allowed the use of an off-board antenna. Next I discovered the Orange PI (OPI) board, also from China. It deviated from the standard size of the RPI boards, but utilized the extra space to add more functionality, like more USB ports, more RAM, and a faster 4-core processor. The OS now resided on a microSD card as well. All of these SBCs could run Raspbian, which I used to compare the capabilities of each new board. I currently have all models of the RPI (except for the RPI Zero) and three models of the BPI and OPI boards. Over the past several years worth of experimentation, I have grown very comfortable with the "standard hardware configuration of "RPI" boards as most have the functional set of hardware. For the most part, they allow they same minimum set of GPIO connections to connect external hardware, they allow some sort of serial communication, they allow I2C protocols to be used, they have camera connectors and external LCD display connectors. This year the first deliveries were made from the Kickstarter Pine A64 project. I ordered mine the first day of which I was aware of the project and received it about 6 weeks ago. Other than the facts that there is currently no 64 bit OS available and that the board does not have WiFi/BT built-in, this board is the closest to my current "ideal" board. It is a little bit larger than the standard "RPI" board. With this comes real time clock support, 4K video support, Flash memory (up to 256GB) support, Euler Bus, Gigabit Ethernet support, up to 2GB of RAM available, Lithium battery support, IR receiver and touch panel support.